The standard construction material of commercial aircraft has remained virtually unchanged in over the course of the last six decades; semi-monocoque design with sheet metal formers, stringers, and bulkheads, covered with aluminum skin held together by rivets. This has held true to the tests of time because it is a design which works very well, is tough and durable, and sheet aluminum works tremendously well on an assembly line floor where all necessary tooling is readily available. It does not corrode and is relatively easy to work with. But sheet metal does have limitations, limitations that composite materials are adept at either replacing or supplementing. Let’s take a look at composite materials in modern aircraft design and construction. Composites first became popular in Europe, most notably Germany, as far back as 1951. The Akaflieg Stuttgart FS-24 was designed and produced in West Germany and was made with the extensive use of fiberglass. Unlike modern aircraft which are made entirely out of foam and fiberglass with epoxy resin, the FS-24 used a composite of balsa wood and glass fiber in a sandwich process. The balsa is very, very light and easy to manipulate to just about any shape, but it is extremely fragile with an ultimate tensile strength of 100 psi, and maximum compressive of 1,700 psi. To put that into perspective, aluminum has strengths of 30,000 psi and 10,000 psi respectively. The balsa was sandwiched with glass fiber which provides tremendous strength on surfaces, and load-bearing points were strengthened with aircraft grade plywood. German sailplanes continued to be built of fiberglass construction over traditional methods, and fiberglass sailplanes are the standard by which all others are measured. Fast forward to the 1970s and we find a young aeronautical engineers who was considered eccentric. His name is Burt Rutan, and he was a foundational proponent of extensive use of composite material in aircraft design and production. It began formally with the Rutan Aircraft Factory where Burt designed small, extremely high performance airplane designs for amateur builders. His VariEze and Long-EZ (among others) have remained highly popular over the course of nearly five decades and still have some of the most impressive performance envelopes in terms of cruise and climb for their power and weight. The beauty of the designs is that there is very little parasitic drag because the surfaces are perfectly smooth, totally seamless, and are shaped perfectly for peak aerodynamic efficiency. Foam is the most malleable material imaginable for aerospace design because it can be cut, carved, and shaped to any contour you want. Wings are able to be shaped with optimum taper without any concern for the intricacies of different rib sizes and spacing typical to traditional building methods. Wings can even have twist built into the design if desired; it makes no difference to foam. In 1982, Burt founded Scaled Composites, LLC in order to take composite designs, often radical departures from traditional designs. The wild designs of Scaled Composites generally barely resemble anything else flying in the world, and there is no way these designs could have been built using traditional materials, yet they are known to fly very well. Also, Rutan’s designs have proven that composite materials are not just for light, amateur-built aircraft; his designs are sometimes very large, carry tremendous loads, and are every bit as capable of sustained flight as any metal designs. Scaled Composites, LLC, remains an active company today although it has changed hands a few times, having been owned by Beech Aircraft, and ultimately by Northrop Grumman who owns the company now. In order to keep this a reasonable length, we will not go in-depth into which airliners have used composites in their design and to what extent. The Boeing 787 Dreamliner, though, is the most widely known example of a mainstream airliner which has made extensive use of composite materials. Boeing designed the 787 to be made up of 50% composite materials, which constitutes most of the fuselage, the wings, and much of the empennage. In heavy jets, the biggest operational advantage in composite materials is in weight savings. Remember, weight equals fuel consumption in aircraft, which translates to longer duration availability. It also equals cargo and/or passengers, and reduced operating costs. Boeing estimates that comparable composite structures weigh in around 20% less than metal structures, which is a lot of weight in structures measured in terms of tons rather than pounds. Boeing’s research has also shown structures made of composite materials require considerably less maintenance than comparable aluminum structures. The tail of a B777 is composite and about 25% larger than the aluminum tail of a B767, but they have found the larger composite tail to require 35% few man hours in maintenance. The linked article regarding the 787 Dreamliner is 13 years old now, and Boeing’s push for expanded use of composite materials continues. The B777X has been announced and it is being equipped with completely composite wings modeled on those used by the smaller Dreamliner. The design of the Dreamliner wing produces significant improvements in efficiency and could not be done using traditional aluminum design. There are, of course, some concerns with full-scale migration to composite materials rather than traditional aluminum. Composite materials are expensive. The initial expense of using composites in construction is higher than using aluminum, which obviously translates to sales costs. The promise of capital gains resides down the road through reduced operating costs and maintenance costs. This is not a problem for legacy air carriers who have very large acquisition budgets and rotate through a lot of aircraft, but it can spell disaster for startups and mid-size airlines seeking to expand or modernize their fleets. The other issue of concern lies in maintenance and repair. Composites are significantly lighter than aluminum, composites do not corrode, and they are less prone to fatigue failure, but metal is easier to repair. Sheet metal repair has remained essentially unchanged over the past six or seven decades. The tools are the same, the processes are the same, so the tasks are the same. Conversely, the level of technical experience and exposure to composite structures is much lower, so MROs have to update training and purchase tools specific to composite structural repair or which none are universal to sheet metal. This requires some elaboration to fully understand the scope of the discussion. In terms of tools and tooling, we are not merely referring to replacing bucking bars and rivet guns with plastic cups and Popsicle sticks to mix epoxy resin. The element of inspecting damage to airframe structures is vastly different from metals. In the case of a bird strike on structure, a technician can look at the dent, see that it is not on a rib, stringer, or former, and look in the manual. If the dent is within tolerance, it is fine. If it is outside of tolerance, it is patched with aluminum sheet. Even damage on top of supporting structures are relatively inexpensively inspected by non-destructive inspection or testing (NDI/NDT) by use of an eddy current or ultrasonic testing. Composite materials are much more involved when damage is identified. There is no way that a visual inspection can identify the depth or scope of damage done in the underlying foam body. Specialized equipment must be acquired at considerable expense, and specialized training for inspectors as it is not compatible with NDI operations on metallic structures. 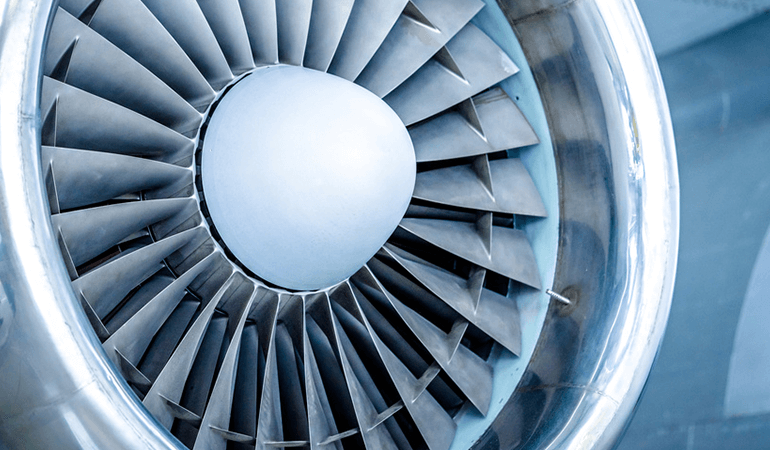 In short, NDI and NDT will be utilized much more often with composite materials than sheet metal, and this means costs beyond just the MRO level of maintenance. Structural damage is most often identified during pre-, through-, and post-flight line inspections of aircraft. Aircraft are always visually inspected before, between, and after the flying day is concluded. Most bird strikes are able to be cleared with visual inspection only, but composites may very well double or triple inspection times since most dents which were cleared visually at one time will not require and NDI technical evaluation. This will also mean additional cost in tools because these systems will be required at non-hub, non-MRO airports just for routine maintenance and inspection. It is not a matter of if, or even when; composite materials are making up the construction of ever-larger parts of all airliners. Traditional designs are being re-engineered and constructed using much higher portions of composites, and it will likely continue to rise even higher as research further refines materials and processes. Right now there does appear to be an even break in terms of fuel and operating cost savings vice increased maintenance and repair costs but it will subside in the favor of increased revenue once composite tooling and repair knowledge becomes widespread. There are always increased technological costs when transitioning from legacy designs and materials to new, but maintenance demands will reduce over time and cost savings will continue to grow. Composites are truly remarkable materials and will only continue to become more advanced and remarkable as their use expands. Did you like this article? Subscribe to our blog and don’t miss out on any news!